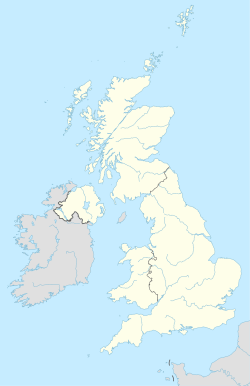 The NW (North Western) postcode area, also known as the London NW postcode area, is a group of postcode districts covering part of northwest London, England. It is the successor of the NW sector, originally created as part of the London postal district in 1856. The London postal arrangements were refined in 1917 when the sub-districts (as appended to postal addresses) were given new alpha-numeric identities for public use; the districts usually cover a wider area than their names might suggest. The district names are no longer included in the postal address because the first part of the postcode contains equivalent sorting information. Within each NW postcode district, PO boxes are allocated to a unique postcode sector, except for two districts which use all available sectors for ordinary addresses and therefore have their separate non-geographic districts: NW1W for PO boxes in NW1 and NW26 for PO boxes in NW10. Postcode district NW1 is central to London, with the NW2–11 postcode districts radiating outwards to the northwest. The boundaries of the area and its numbered districts have changed over time and are the result of the working requirements of Royal Mail. They are not tied to those of the local authority areas served; consequently a locality name might describe varying areas. The postcode area contains large parts of the London Borough of Barnet, London Borough of Brent and London Borough of Camden with small parts of the City of Westminster, the London Borough of Ealing, London Borough of Hammersmith and Fulham, London Borough of Harrow, London Borough of Islington and Royal Borough of Kensington and Chelsea. The NW7 district extends to the Greater London boundary with Hertfordshire and follows that boundary for a short distance near Scratch Wood. NW postcode area map, showing postcode districts in red and post towns in grey text, with links to nearby EN, HA, N, W, WC and WD postcode areas. The remainder of northwest Greater London is covered by the HA, UB, part of the EN and a small section of WD postcode areas. ^ a b Royal Mail (2004). Address Management Guide (4 ed.). Royal Mail Group. ^ "Postcodes" (PDF). Archive Information Sheet. The British Postal Museum and Archive. Retrieved 24 March 2010. ^ a b c "Non Geographic Codes" (PDF). Royal Mail Address Management Unit. July 2012. Archived from the original (PDF) on 16 September 2012. Retrieved 25 September 2012. ^ "Names of Streets and Places in the London Postal area". HMSO. 1930. "NW1". The Postcodes Project. Museum of London. Archived from the original on 22 September 2012. "NW2". The Postcodes Project. Museum of London. Archived from the original on 23 September 2012. "NW3". The Postcodes Project. Museum of London. Archived from the original on 23 September 2012. "NW4". The Postcodes Project. Museum of London. Archived from the original on 2 May 2013. "NW5". The Postcodes Project. Museum of London. Archived from the original on 28 December 2012. "NW6". The Postcodes Project. Museum of London. Archived from the original on 3 March 2012. "NW7". The Postcodes Project. Museum of London. Archived from the original on 5 February 2012. "NW8". The Postcodes Project. Museum of London. Archived from the original on 23 September 2012. "NW9". The Postcodes Project. Museum of London. Archived from the original on 23 September 2012. "NW10". The Postcodes Project. Museum of London. Archived from the original on 23 September 2012. "NW11". The Postcodes Project. Museum of London. Archived from the original on 3 February 2012.